This matching folio features all 15 tracks from the 2016 2-disc release by the acclaimed revolutionary Ukulele player Jake Shimabukuro. The pieces in this album are presented in note-for-note transcriptions in standard notation and tab. 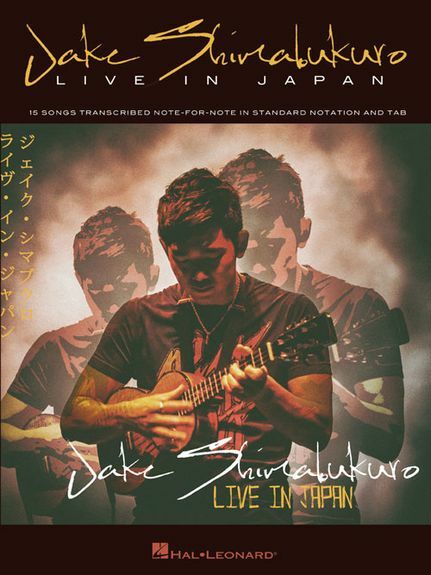 Jake Shimabukuro: Live In Japan includes the songs: Me & Shirley T., Passport, Red-Eye, Ichigo Ichie, I'll Be There, Oama, Travels, Kawika, Hula Girl, Blue Roses Falling, Bohemian Rhapsody, Dragon, 3rd Stream, Orange World, While My Guitar Gently Weeps and more.